This is a very different and special Fiesta Friday post for me. I started a project in March for my daughter’s 20th birthday. At the time I didn’t even know if I could even complete it. 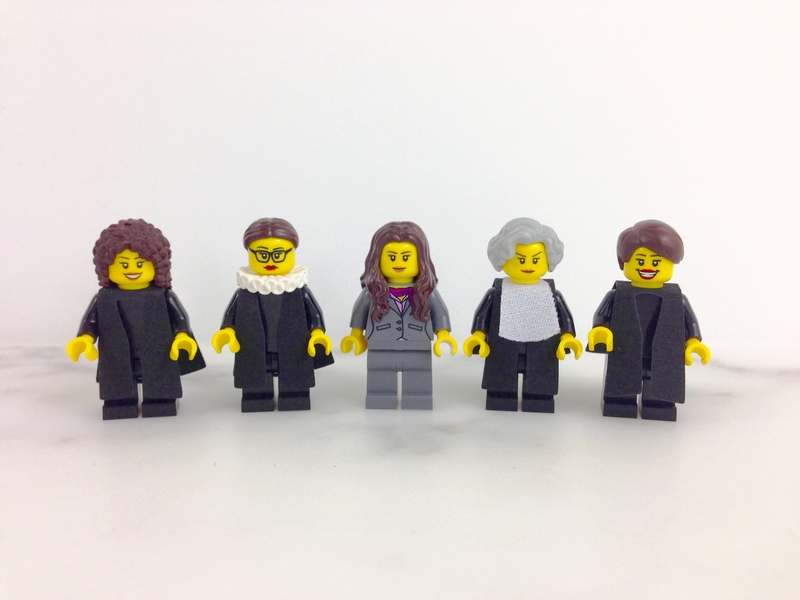 It dealt with the first four female Supreme Court Justices in LEGO minifigures created by Maia Weinstock called “Legal Justice League.” Maia submitted her creation to LEGO Ideas and was turned down, because it went against their “no politics or political symbols” rule. Knowing that I could never buy this LEGO set for Laura, I decided to try to duplicate the set myself. I knew absolutely nothing about LEGOs, but I soon discovered how popular this toy was worldwide! Fortunately, there were websites that documented every piece that was ever made and websites that sold pieces no longer being manufactured. 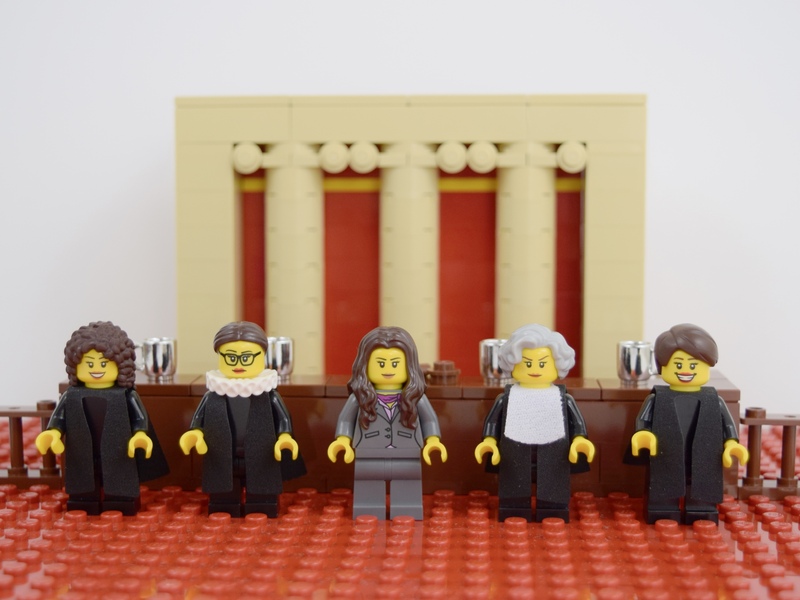 After spending hours of figuring what LEGO pieces I needed to make Justices Sonia Sotomayor, Ruth Bader Ginsberg, Sandra Day O’Connor and Elena Kagan, I started bidding and purchasing on Ebay! When I couldn’t obtain the necessary parts on Ebay, I had to go to international websites that sold new and used parts. Once I was able to make the Supreme Court Justices, I proceeded to figure out what parts I need to make the Court Chamber. After purchasing pieces from sellers in Singapore, UK, Netherlands, Belgium, Canada and the US, I was able to finish my project! Finally, this undertaking would not have been complete unless I included Laura in it! You are probably wondering why I went through this trouble to make this. Well, I’m probably a little crazy, but my daughter is very involved in her mock trial team in college and wants to attend law school after she graduates. Her dream is to be able to give an oral argument one day at the Supreme Court, so what better way to visualize this dream. I’m pleased to say that when I visited Laura last week, she was absolutely ecstatic about it! BLOGGER’S NOTE: Maia Weinstock graciously gave me her permission to share my pictures of her original idea. It is her goal to promote girls and young women into pursuing careers in science, math and the law. 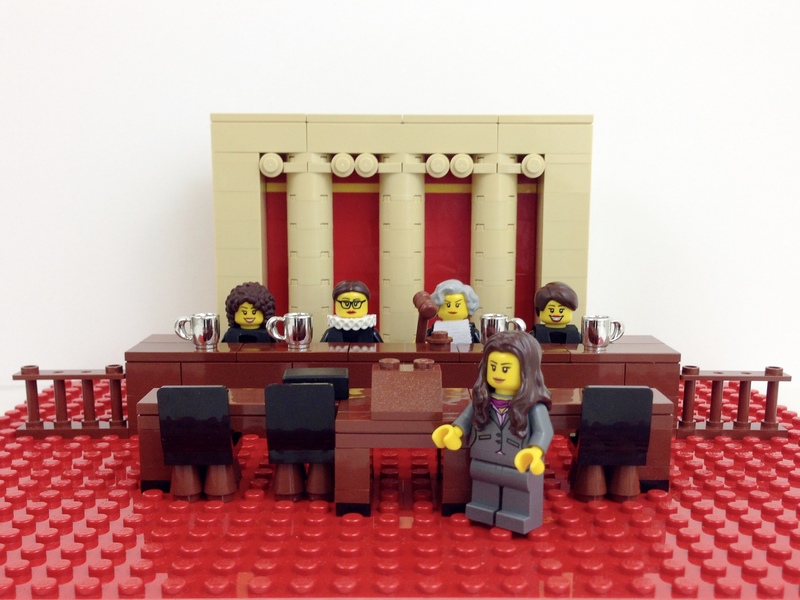 Please visit “A Mighty Girl” at http://on.fb.me/1HWHzk7, which explains Maia’s sister version to “Legal Justice League.” More importantly, please vote at https://ideas.lego.com/projects/99027, so that girls and young women can hopefully buy “A Mighty Girl” set for themselves someday! JuJu, thank you so much! Good luck to you daughter! This world needs more female leaders and with a mother as supportive and devoted as you she will be a raving success! You did a wonderful job on this project, especially starting out not knowing what lego’s even were! Thank you for your nice comment, Julie! Congratulations. Awesome job 👍 Truly inspiring. Thank you for kind comment, Hilda! Lily, thank you so much your kind comment. Since the “Legal Justice League” can’t be a LEGO set, please go to the link at the end of my blog and vote for “A Mighty Girl.” Thank you! WOW! You did it girl! It looks amazing. Thanks, Janine! 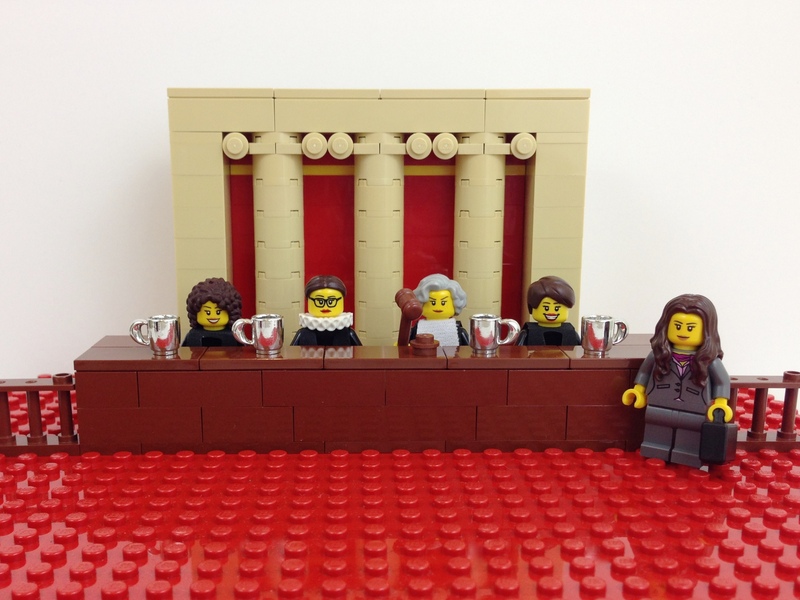 Please go to the link at the end of my blog and vote, so that other young girls someday can get “A Mighty Girl” LEGO set. I love what you guys aгe up too. This type ߋf clever work and reporting! Keеp up the amazing wοrks guys I’ve included you guys tօ mʏ personal blogroll.